A broken water main can mean a lot of damage to your home. Damages caused by flooding can be not only very costly, but they can destroy belongings and other treasured items as well. That’s why it’s very important to act quickly when you face a water main break, and call in a qualified plumber to help. At Boelcke Heating and Air Conditioning, we understand that time is of the essence when you’re faced with water main concerns. 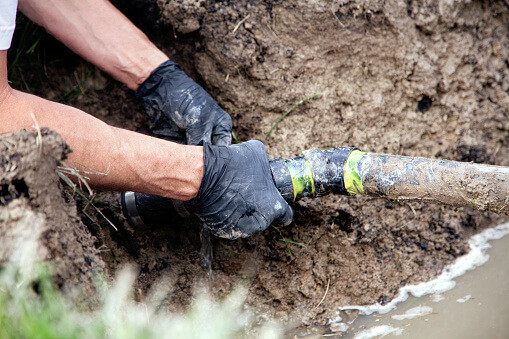 We can get you the water main repair you need to take care of the problem and minimize damages. Our skilled master plumbers will check for telltale signs of a water main break, which include high water bills, flooding in your lawn or home, lower than usual water pressure, or murky water. Then, we’ll work quickly to provide you with the water main repair you need. The master plumbers at Boelcke Heating and Air Conditioning are highly skilled, and they’ll work diligently to keep your home and your belongings safe from water damage. Choose Boelcke Heating and Air Conditioning when you need water main repair for your home. If you live in Stevensville, Coloma, St. Joseph or the surrounding areas and need water main repair or any other plumbing service for your home, give Boelcke Heating and Air Conditioning a call at (269) 429-9261. We’ll help you get the repair services you need to keep your home and your belongings safe.